Urgh I don't know what's wrong with me...I love blogs, but I can't keep one. 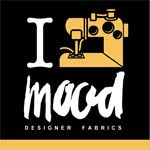 I just forget, am too lazy, scared that a blog forces me to actually be proactive and practice what I preach (sewing!) and so, it's neglected for months on end. But not anymore! This has to be the year of conquering dreams (she says, sitting in her new favourite pyjamas). Sorry about the small pic, but you get the idea. Not sure what fabric my friend will want yet, but I plan to line it (of course). It will be my first attempt at drafting a pattern and fitting a garment to a person other than myself. So pretty excited to get started. Next is a dress for a colleague's wife - that's even more scary. A new person I don't even know. But hopefully, these dresses will be the start of a great portfolio and many dresses to come. After that is some draping. I am going to self-teach, I've read that it's pretty straight forward off the mannequin, but we'll see. Then along the way, I'll be waiting for my light bulb moment of how exactly I am going to piece all this together and start a business. That's my dream. Using my skills to make money without having to put up with a crappy deskjob. I know it will involve something vintage...it has to, it's what I love the most. I sit watching all my favourite films from golden Hollywood just gazing at the beautiful dresses trying to work out how they were made. I wonder if anyone would commission me to make this? What a buzz it would be to figure out this! I dream of a website that sells recreations of all the best and glamourous clothes and accessories and make up from yesteryear. And I would dress in those things everyday, singing round the house to Judy Garland and Debbie Reynolds whlie I file invoices and staple paper. Sigh...one day. If anyone is reading this, thank you! I'll sew you a hankie.